Religious TV Channel / UCSG Television is an Ecuadorian television network based in the city of Guayaquil and is the television station of the Santiago de Guayaquil Catholic University. Use the slogan "Always educating and entertaining." It is located on Channel 42 in Guayaquil, Channel 40 in Quito and Channel 35 in Cuenca. 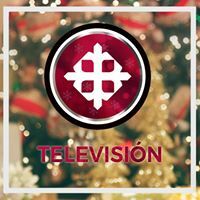 It is the first university channel with coverage in all of Ecuador, in addition, it is one of the four free-to-air television stations that broadcast from all of Ecuador. Its beginning of transmissions was on January 12, 2007. The channel has become one of the youngest chains in Ecuador along with the young Ecuadorian channels such as: Canal Uno, Telerama, RTU, Latele, Oromar Television andTelevicentro.